Are you managing change—or is change managing you? Have the life you want. 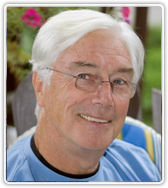 For over 40 years Michael Worsfold has coached people to be effective and successful. Now his focus is personal effectiveness –quality of life experience. The context is a world of unprecedented change and what that means to people. The goal of coaching is to learn or rediscover what it means and what it takes to live well. Learn to navigate life changes, be who you want to be, accomplish your goals and have a life of fulfillment and joy. Mike’s approach to coaching accomplishes results by using powerful, proven strategies and tools to bring about rapid transformation in your way of being and your ability to accomplish the changes you want. More and more people are using personal coaches to help them to navigate life changes effectively and be the best they can be in every aspect of their lives. If this resonates take action now. Let’s have a conversation about your needs. Simply complete these fields to request your free coaching conversation with Mike Worsfold. "I've done a lot of work on myself over the years in therapy, church and shamanic workshops, but Mike has been able to take all the things I know (along with some I didn't) and present it in a way that makes lasting transformation not only possible but practical and, I believe, inevitable. I haven't been this happy in years." "You have been my coach, and as such, my business development partner for 15 years. The partnering strategies we created together quadrupled our sales and made us the industry leader. Now our challenge is to stay there. Thanks for helping me stay on the cutting edge." "I have been working with Mike Worsfold as an executive coach for the past year to assist me with running my business in a more efficient, less stressful manner. The result has been a 25% growth in my revenues and a more balanced life for me. I use two coaches and highly recommend Mike."